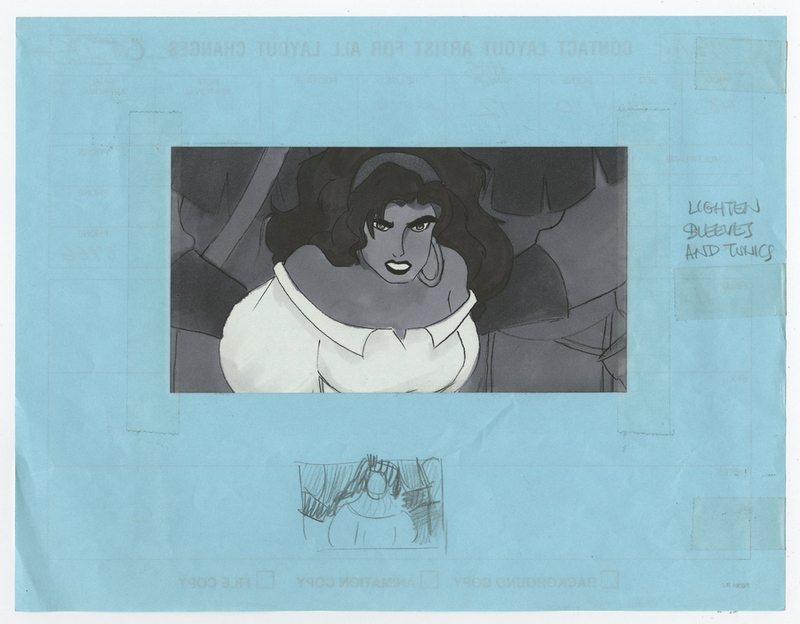 This is an original storyboard drawing from the Walt Disney Studios production, The Hunchback of Notre Dame (1996). 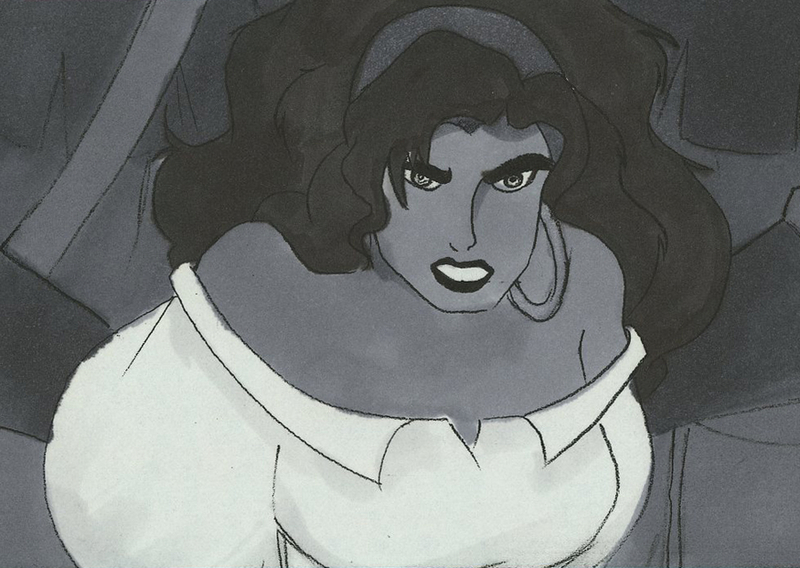 This drawing features Esmerelda and was created at the studio and used during the production of the film. The overall measurements of the piece are 3.5" x 6.5" and the image itself measures 3.5" x 6.5". The drawing appears to be a xerox image of the board that has been hand-inked and colored with marker over the xerox. It is applied with tape to a larger sheet, and is in excellent condition.